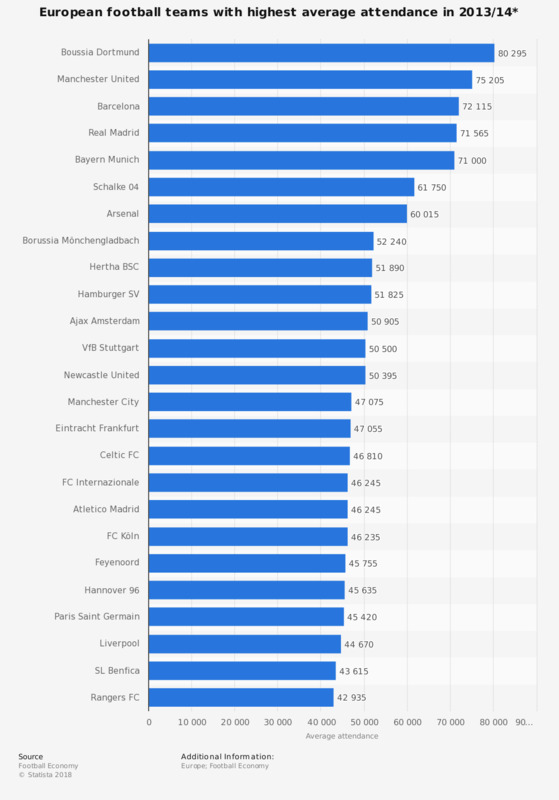 The statistic shows the European football clubs with the highest average per game attendance in the 2013/14 season. Germany's Borussia Dortmund had the highest average attendance throughout Europe, with an average of over 80,000 fans attending each of their home games. Where do you usually play soccer?